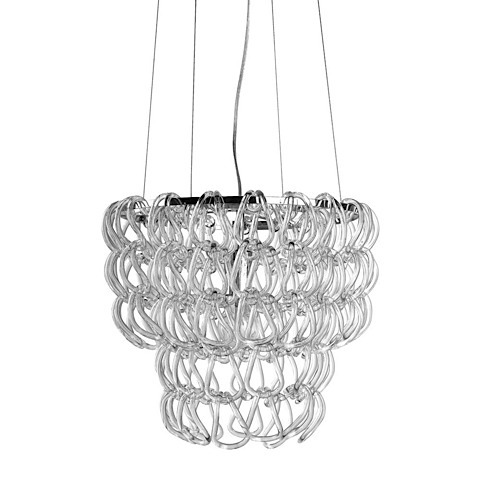 The Letizia Petite Pendant Lamp is a 1-tier hooked crystal pendandt lamp with a high gloss stainless steel circular frame. 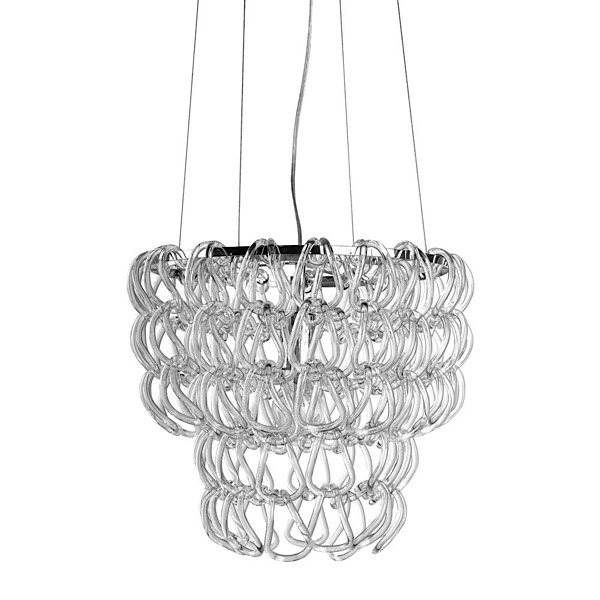 The lamp shade is crafted with crystal hooks which are sure to illuminate and dazzle. The lamp comes complete with a hard-wired application and canopy. The lamp takes one E26 40 watt bulbs which is not included. Coordinates nicely with all the lamps in the Letizia Collection.